Purpose: In this assignment, you will apply the skills you learned from Chapter 8 of the textbook, and the course presentation on research. You must review this material before beginning the assignment. Overview: You will locate, evaluate, and cite an article for a pretend research paper. While you will not need to write an actual paper, you will need to demonstrate your ability to conduct a search on the Jerry Falwell Library website, evaluate an article for quality and credibility, and cite your sources with integrity. Choose a topic to research from the options in Step 1. Appropriate for writing a paper on the chosen topic (relevant). Written by a credible author. Current for the field of research—in this instance, no more than 5 years old. Evaluate your article for quality and credibility. Cite your source with integrity. Follow the steps below and record your responses to each question in the space provided. Note: Your score for this assignment is based on your accurate evaluation of your chosen article, not on meeting the criteria of the pretend research paper. Do not change articles if you find that yours is deficient on some point. Instead, perform a thorough evaluation of the article selected, as this is the basis for your grade. Mark your chosen topic with an X. What search terms did you initially use when looking for your article? Did you have to alter your search terms to find an article? What search terms did you end up using? Paste the permalink for your article in the box. How does your chosen article relate to your topic? Is this a credible source? Why or why not? What is the name of the publication in which your article was printed? Is the article written in a formal or informal style? Provide an example. Is this a scholarly article? Why or why not? In what year was your article published? Is this a current article? Why is it important that your article for this paper was published within the last 5 years? Does/do the author/s have a bias, or conflict of interest, which might impact his or her/their objectivity? Does/do the author/s consider alternative viewpoints and approach them fairly? Provide an example. Does/do the author/s use objective wording, or is the wording subjective or affected by emotions? Provide examples. Would this be considered an objective source? Why or why not? A Case Study Analysis of the Protection of Civilians in Pakistan during Internal Conflicts. Identify two barriers as discussed in this week’s readings that influence YOUR critical thinking (the two barriers you select should influence you DIRECTLY – not just critical thinking, in general). Include only barriers as listed in Thinking: An Interdisciplinary Approach to Critical and Creative Thought, Ch. 2.
will be at least 300 words. Identify three lessons that you learned from this course. Describe each of them and explain why they are meaningful to you. How will each of these lessons apply to your everyday life? What will you continue to work on as a critical thinker? What is still a challenge to you as a critical thinker? Format all sources consistent with APA standards. Include an APA title page. Use complete sentences, with correct grammar, spelling, punctuation, and capitalization. 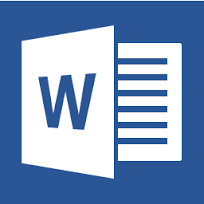 Use Writepoint or a peer reviewer to edit and recise your paper. Submit your answers in the Assignment Files tab above. • Research your opinion. Locate one reliable and credible article. Describe why you chose this article and explain how it is reliable and credible. • Research your opposition. Locate one reliable and credible article. Describe why you chose this article and explain how it is reliable and credible. • What did the data in each reveal about your opinion? In other words, was it supported or disproved by your findings? • Has your opinion changed after researching it? Explain your answer. • What information do you think is needed to formulate an educated opinion on this topic? Cite your references. Please complete the assignment in APA format, include a reference page, and cite both articles. Remember, this is not an assignment in which you write a report proving your opinion. It is a review of both sides of the issue and how it affects your views. Thank you! This assignment contains two parts. You must complete both parts before saving and submitting to the assignment link. List the five steps in the model for problem solving from Chapter 6 of Critical Thinking in Everyday Life. Write a 25-50 word description of each. COMPLETE SENTENCES. Remember to correct cite and reference any source you use to complete this assignment. Step 1: Identify the problem Identifying the problem would be preparing a statement of the problem to help you later find information you may lack or find underlying causes of the main issue. Step 2: Discover the causes of the problem While discovering the causes of the problem you are looking at the current situation rather then its history. At the beginning you should brainstorm and identify all the possible causes. Some examples of causes would be people, resources, environment, processes, procedures, and rules. Step 3: Create options to solve the problem (creative thinking) While creating options to solve a problem you should brainstorm solutions. This would be collecting as many ideas as possible, and then screening then to find the best idea. It’s important at this time to not pass any judgment on the ideas, just write them down as you hear them. Step 4: Evaluate the best options to solve the problem (critical thinking) When evaluating the best option to solve the problem many questions should be asked for the solution you plan to implement such as: which approach is most likely to solve the problem long term? Which approach is the most realistic? What is the extent of risk associated with each alternative? This is the process in problem solving and decision making are integrated. Step 5: Act, monitor, and modify selected options if necessary In step five, you should be implementing the best alternative (this is your action plan). Then you can monitor the implementation of the plan by looking to see if you’re seeing what you would expect from the indicators. Lastly, you can then verify if the problem has been resolved or not. If not, you can then modify the solution to better accommodate the resolution you are looking for. At the end of your weekly discussions, answer the following questions in 100 to 200 words. Be honest. You will not be graded on any negative responses. Can you identify roles and needs in this group? What is the best course of action moving forward for this group?